Well-managed parks and public spaces are a key ingredient for a vibrant public realm. 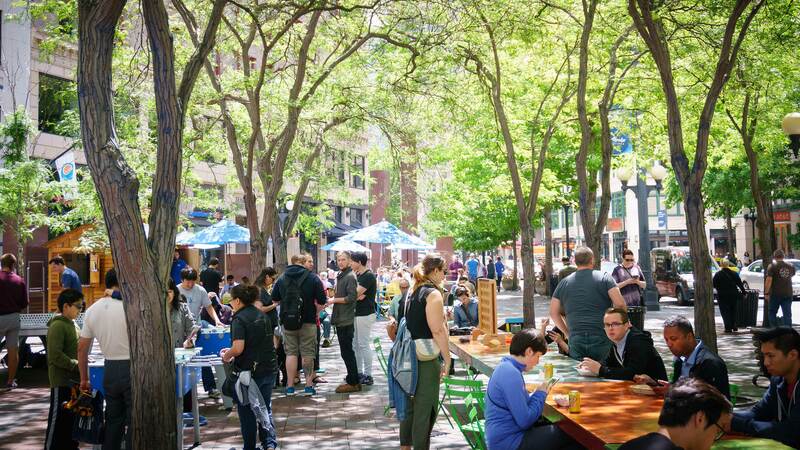 In 2014, the Downtown Seattle Association partnered with the Alliance for Pioneer Square, Waterfront Seattle, Seattle Parks and Recreation and the Seattle Parks Foundation to take a look a how our parks could further elevate our downtown urban experience. With generous funding from public and private partners, we examined best practices from parks across the globe. With a strategy in hand, DSA led an effort in 2016 to negotiate a management agreement with the city of Seattle to activate both Westlake and Occidental Square parks, year-round. Both Westlake and Occidental Square parks continue to see increasing numbers of observed park visitors. Occidental Square saw a 30-percent year over year increase in observed park visitors. Westlake Park saw a six-percent increase in year over year observed park visitors. Occidental Square saw a nine-point increase in park visitors who felt the space was clean, and a 13-point increase in those who found the space to be welcoming. Similarly, Westlake saw a seven-point increase in park visitors who felt the park was clean and a six-point increase in perceptions of safety.